Congressional leaders were poised last month to spend tens of billions of dollars in the omnibus bill to temporarily shore up Obamacare’s failing health insurance system.That money, however, never would have given Americans the long-term relief they so desperately need.After this idea was struck from the spending bill, Sen. Lamar Alexander, R-Tenn., who had worked closely with Sen. Susan Collins, R-Maine, to shape a bipartisan deal, said that “the only choice we have is to go back to repeal and replace the Affordable Care Act.”We agree. Obamacare is broken and cannot be fixed, and there is a better way forward.The True Cost of ObamacareSoaring costs and declining choices are driving hardworking Americans and small businesses out of health insurance coverage. More than 28 million Americans remain uninsured. Millions more struggle to afford their premiums and deductibles.Obamacare has nearly destroyed the private market for individual health insurance. Young people find it increasingly difficult to find entry-level jobs because the employer mandate makes it so expensive for companies to hire them. Lower-income Americans find themselves stuck with Medicaid rather than having a choice of a better plan.The No. 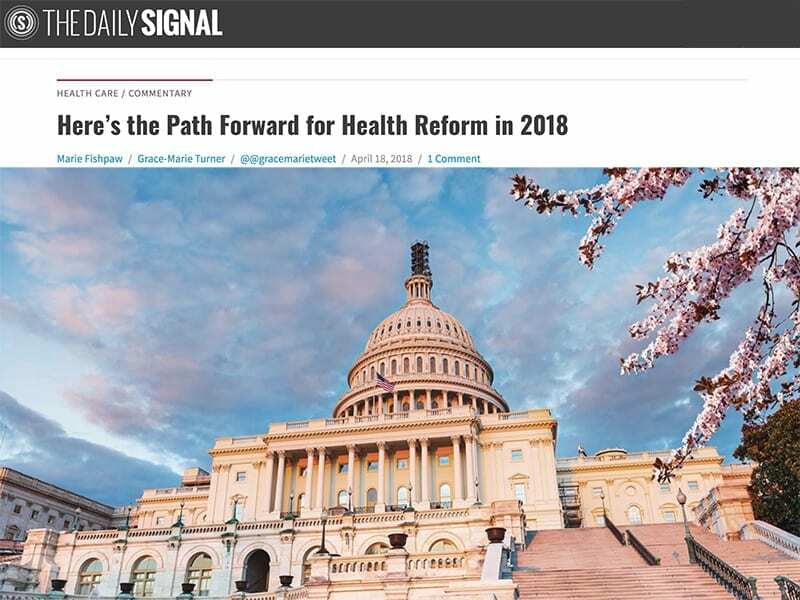 1 issue voters want their elected representatives to address this year is the high cost of health coverage.Give Americans Real ReliefAmericans need genuine relief that doesn’t just paper over Obamacare’s serious flaws, but instead opens a new path for real reform. We, along with many colleagues and allies in the conservative community, are working to chart a new path to empower consumers and return authority to the states to provide people better and more affordable health coverage options.